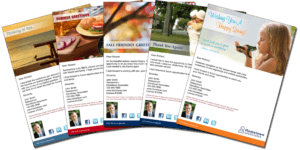 Real Estate Marketing | Continuity Programs Inc.
No Monthly Minimum Order Requirements! Monthly Subscription Fee Begins When First Order Placed – ONLY $8.99! Enterprise vs. Individual/Team Accounts – Read about the benefits of each and what is included in the $8.99 monthly fee. Or Fill Out The Request Information Form here. 88% of buyers and 84% of sellers say they would use their real estate agent again or recommend that person to others. Only 12% of buyers and 25% of sellers say they used the same real estate professional they worked with for their previous transaction! The average Realtor earns 21% of their business from past clients. Just think about how much business Realtors lose when they do not maintain relationships! 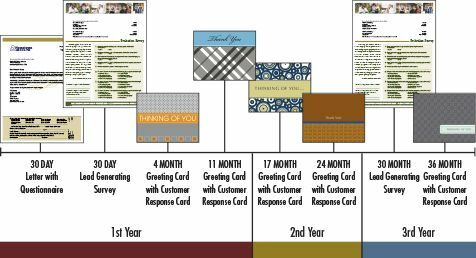 Continuity Programs got its start back in 1973 hand-signing and mailing out cards for individual Realtors in the basement of the original owner’s home, which soon led to providing full service client retention and lead generation marketing solutions for many of the largest real estate companies of the era. Continuity Programs knows the real estate industry, the challenges you face and how to help you overcome them. Effective marketing and time management is essential for Realtors in today’s world. All of our real estate marketing programs are 100% turn-key, which is what differentiates Continuity Programs from the other real estate marketing companies out there. Continuity Programs’ goal is to help you grow your business. Check out our specific real estate marketing solutions to generate leads and get referrals, up sell and cross sell, and acquire new clients. 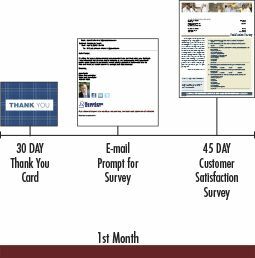 Our techniques to generate real estate leads include direct mail marketing with postage-paid responses, email marketing with ability to reply directly to you, satisfaction surveys, closing gifts, and more. Because we have such strong experience generating real estate leads, we know the market and how to customize our products to suit you perfectly. 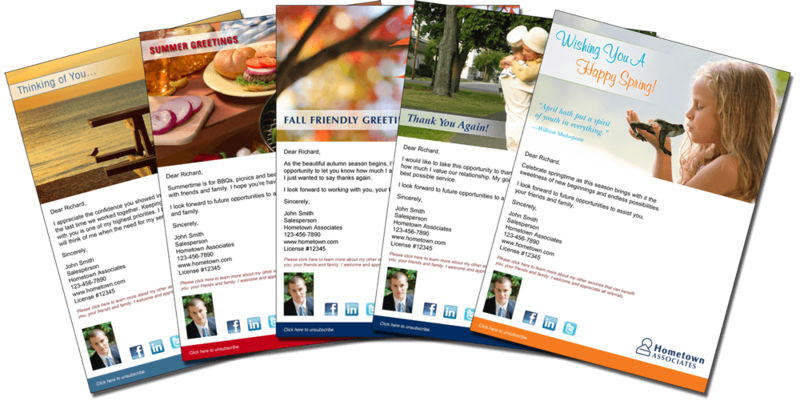 Whether you’re interested in pure direct mail marketing or want the full strength of our comprehensive program, Continuity Programs is ready to help you. Not only do our real estate database marketing systems help increase client retention, they also have a very positive impact on agent recruiting and satisfaction. We are the secret weapon for real estate Chief Marketing Officers! Ready to sign up? Individual agents or teams click here, fill out the Request Information form, or call 800-521-0026. Corporate and individual product packages are available.